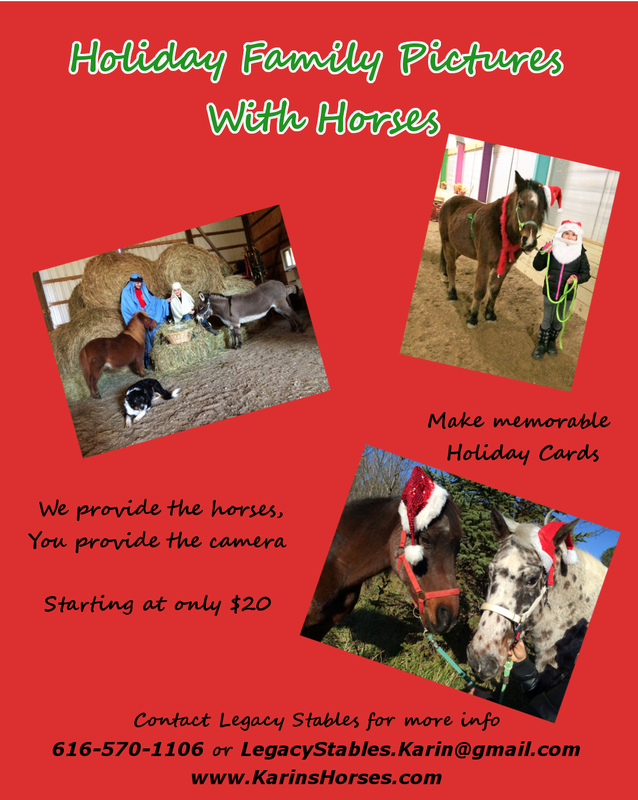 We have been so blessed in 2017 to be able to share our horses with you! Thank you for all of your support. We pray that you and your loved ones have a wonderful holiday season filled with love, caring, and sharing. 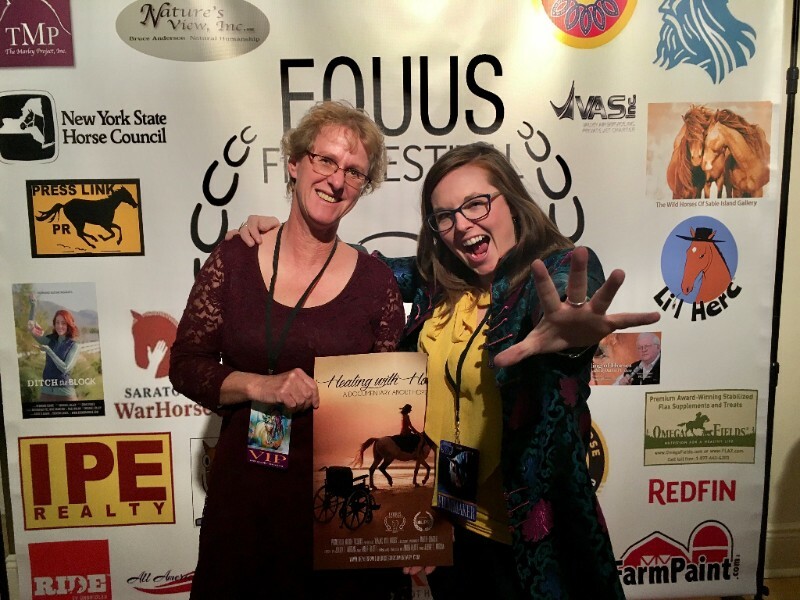 Karin and film maker, Amber, had the chance to travel to New York City for the Equus Film Festival which featured our Documentary, 'Healing with Horses'. What a great experience! And our film even won an award!! 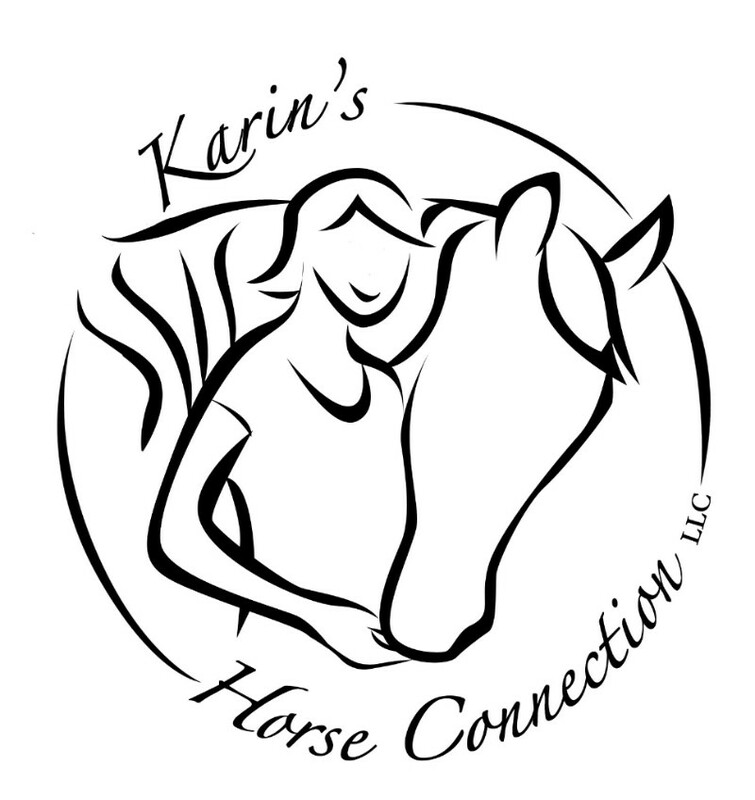 We are still looking for donors to help us produce more chapters that will continue to tell the story of how horses change lives. Click HERE for more info and to watch the documentary! 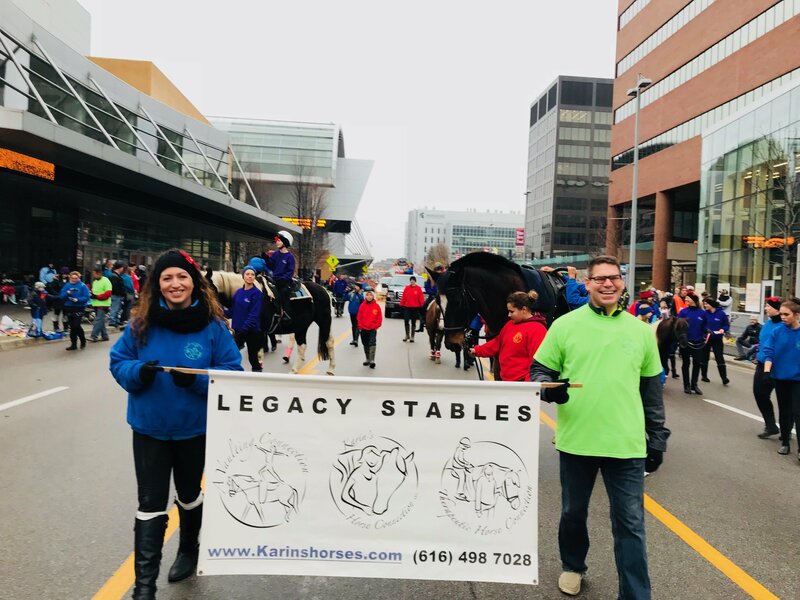 The same weekend Karin was in NYC, the rest of the staff, 6 horses/ponies and over 30 riders, vaulters, and parents participated in the Art Van Santa Parade in downtown Grand Rapids! It was so fun to share our passion for horses. We were even on TV!! See us in action at the Caledonia and Kentwood parades in the coming weekends. 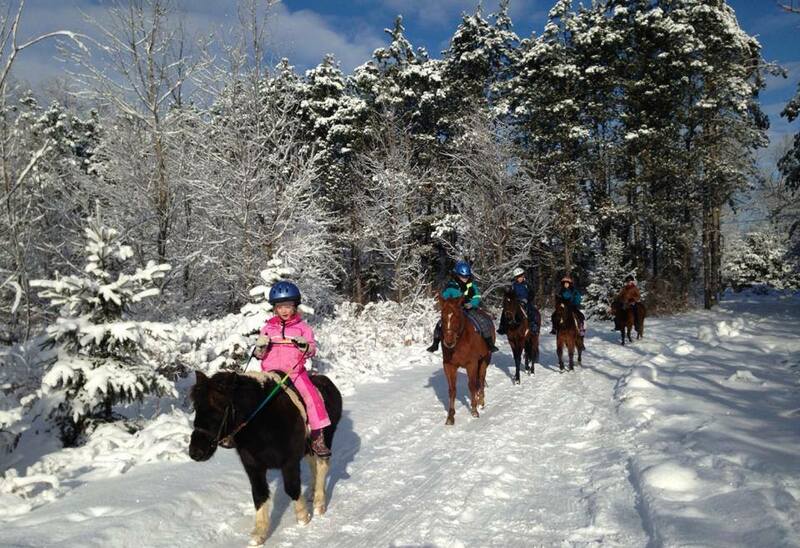 December 26-29 & January 1-5 - Christmas Break 'Own-A-Horse' Camp!